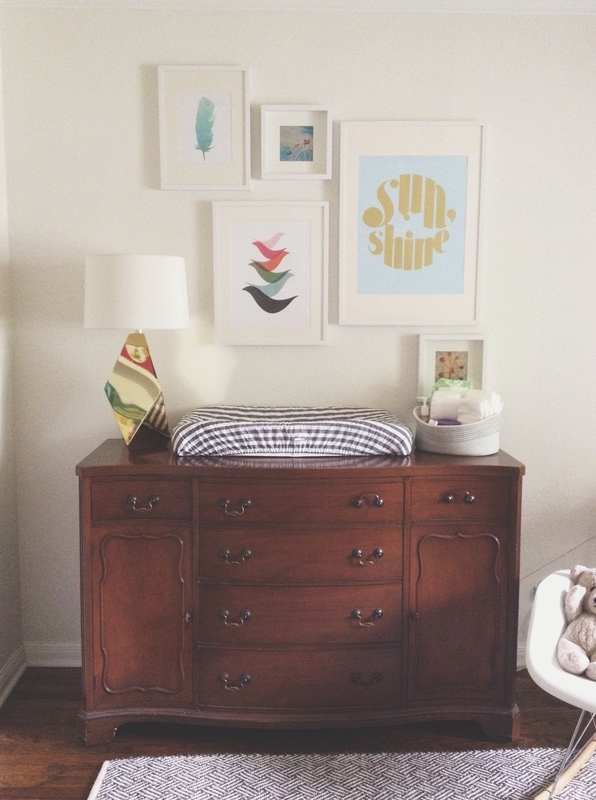 Just wanted to post a couple of quick pics of E’s nursery. It’s coming along – slowly but surely. We finally put in his Pax Ikea cabinets (I’m in heaven with all of the extra storage!!! ), but still have to install the lucite door pulls. 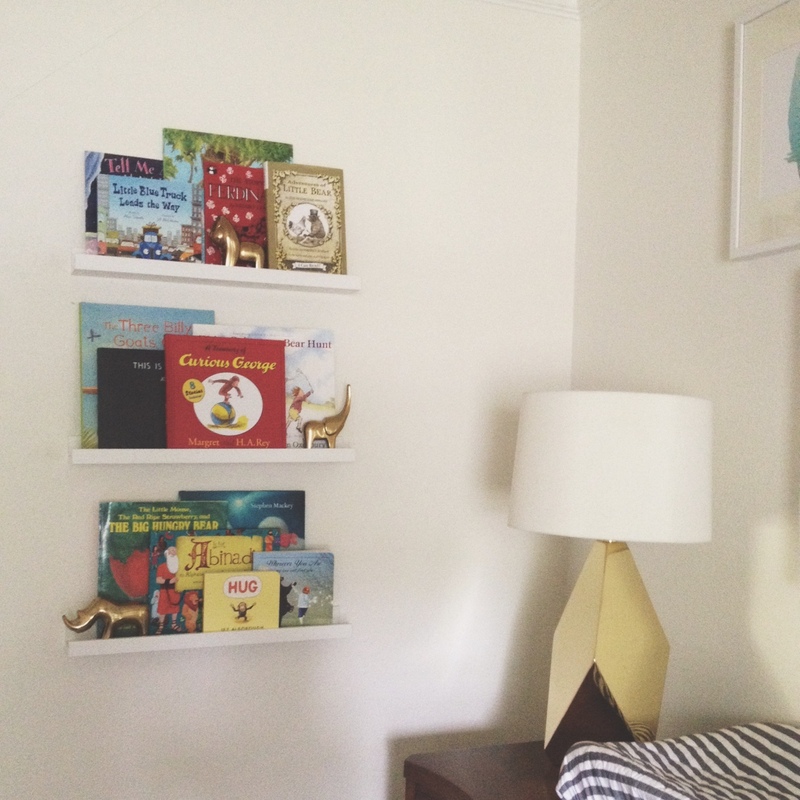 We also installed his floating bookshelves. I had eyed some colorful ones from The Land Of Nod, but at $30 a piece, I held off. 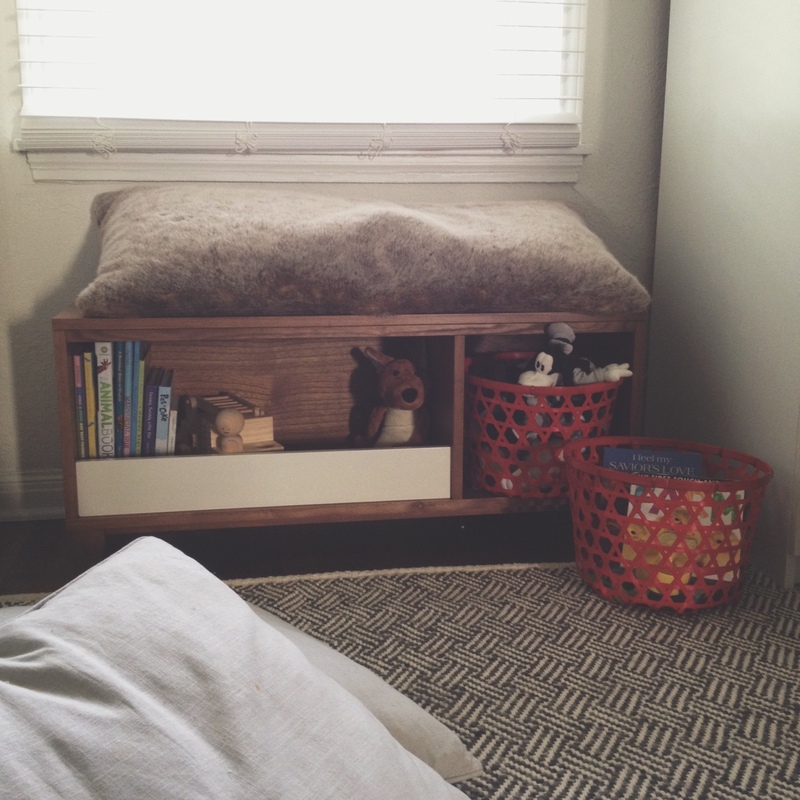 Fortunately, I scored some awesome Ribba picture ledges for $10 each at Ikea, and they look fabulous! 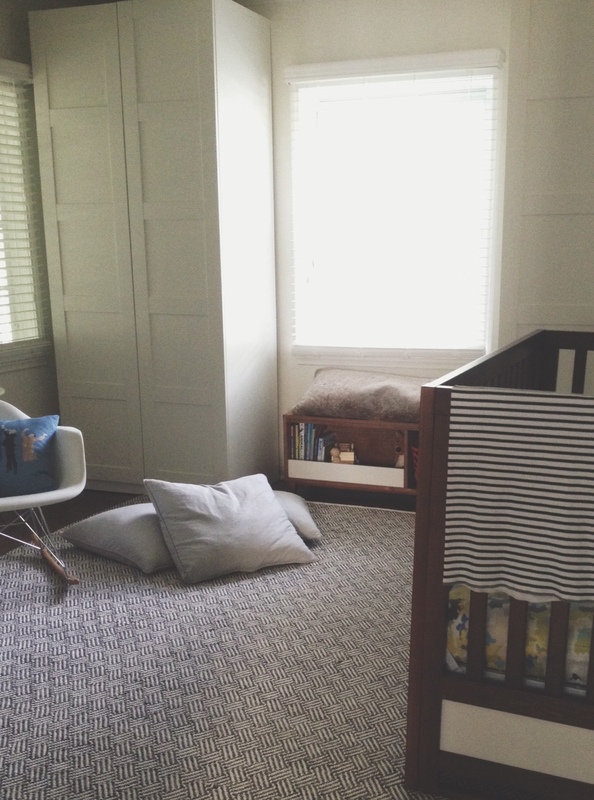 Next up on the list is window treatments, artwork over his crib, and a couple of finishing touches. Looks great! 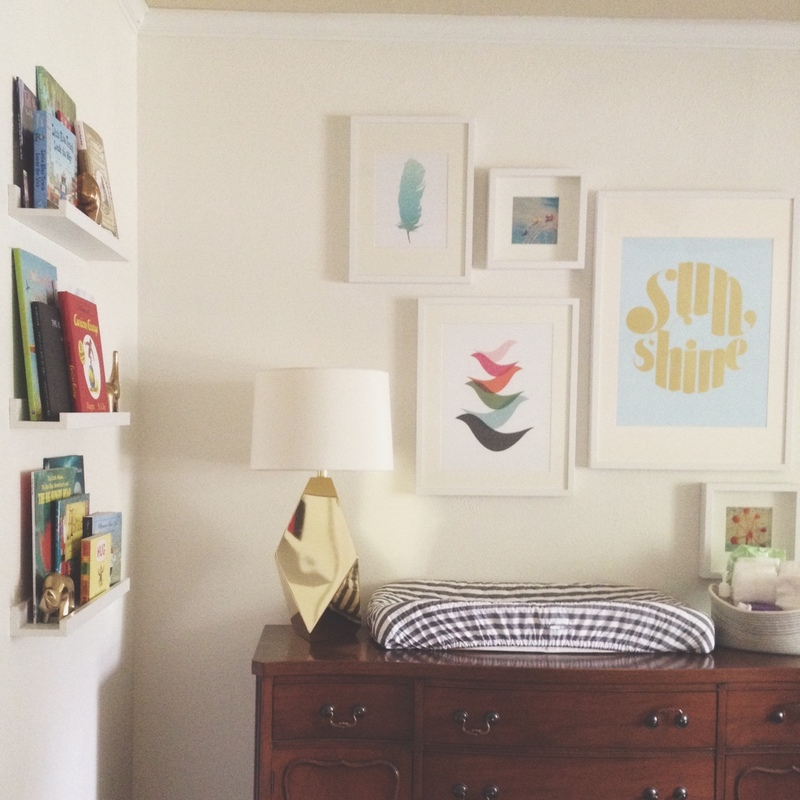 I love the mini gallery wall. So cute!! Where in the world did you get the awesome and adorable brass animals? I’m in love and want them for my house! I LOVE it! 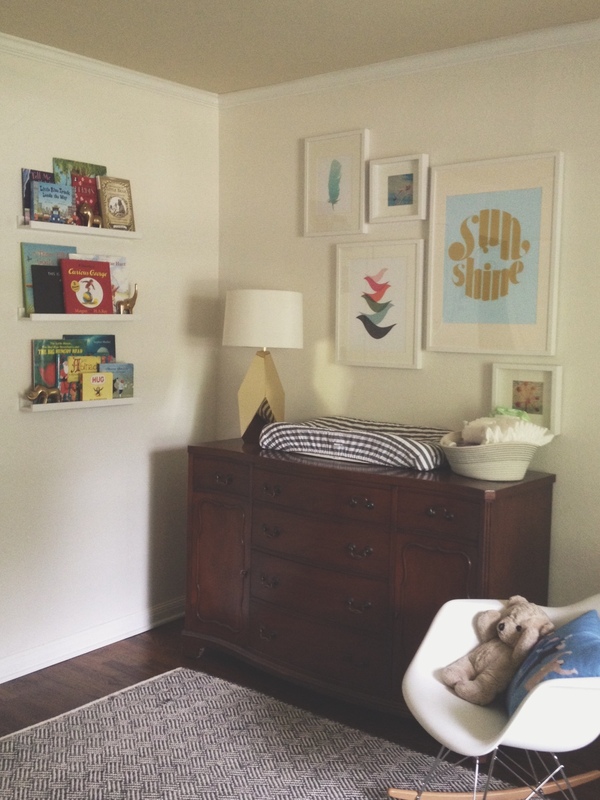 A calm and inspiring space for the little man to live and grow! Looking good. 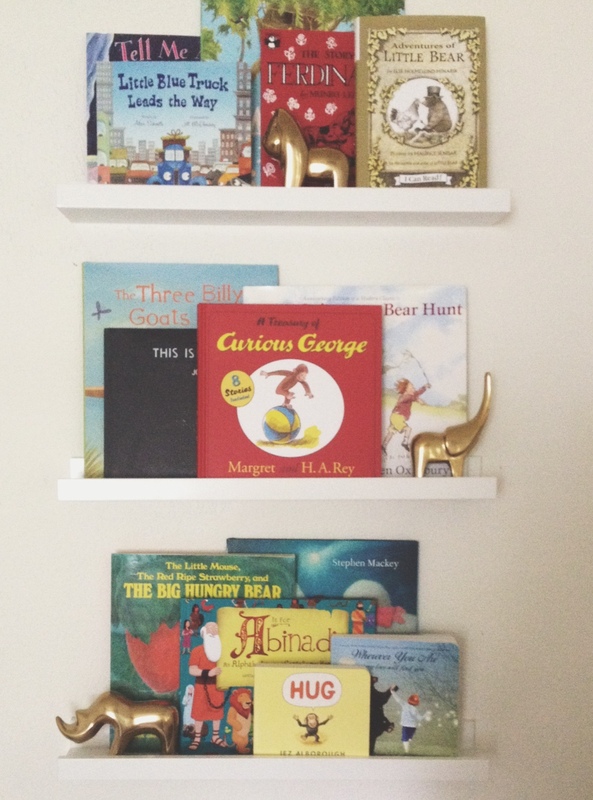 Digging those shelves for the books.